Fifteen drawers store up to 375 CDs, 120 DVDs, or any combination. 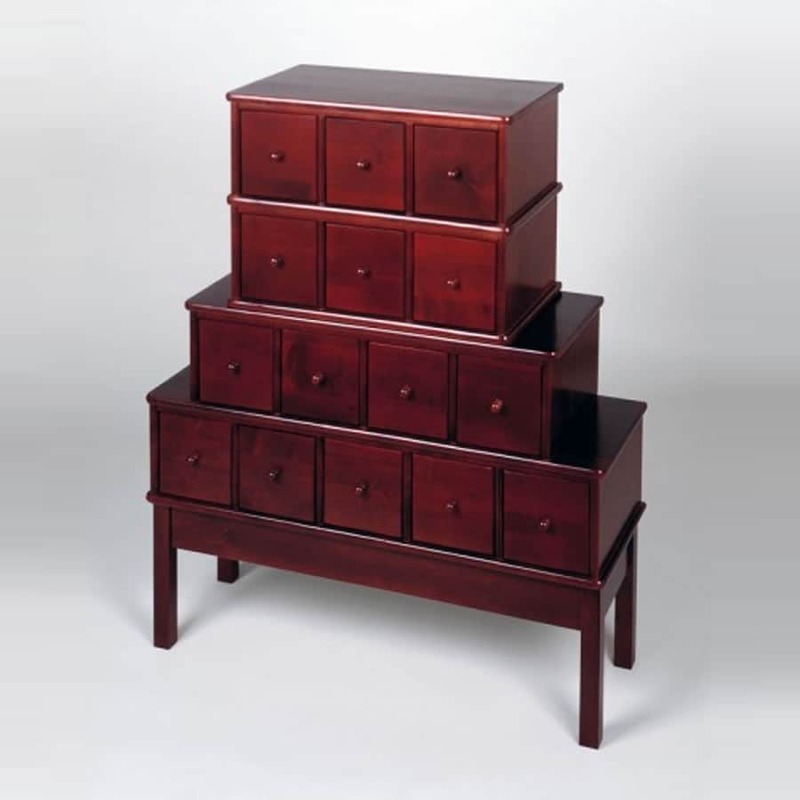 Furniture-quality chest is handcrafted in solid birch with a cherry finish. 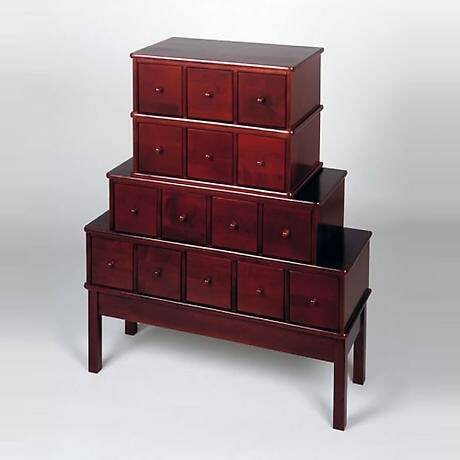 Drawers are 5"w x 5 3/4"h x 10"d. Chest is 34"w x 41"h x 12"d. Some assembly. Arrives in two boxes.No Rush or Express. Ships to 48 contiguous states only. Extra shipping charges for this item: $+60.